MB offers a range of financial services to small and middle-market businesses, and individuals in the markets we serve. From business-focused Leasing Solutions to Wealth Management, MB provides unparalleled service. Founded in 1980, LaSalle is focused on customer service and provides a wide range of financial and equipment solutions designed to assist customers in managing their technology equipment needs. In August 2002, MB Financial Bank, N.A. acquired LaSalle Solutions. This allowed LaSalle to have a national presence and finance multimillion dollar transactions. Cedar Hill is a Securities and Exchange Commission registered investment advisor, and proud of its history of successfully helping clients meet their financial goals since 1984. As of year-end 2015, Cedar Hill is privileged to manage clients’ wealth representing more than $1.15 billion in assets under management. By focusing on clients’ unique objectives, they have built long-term relationships based on dedication, integrity, respect and a genuine affection for people. Celtic Commercial Finance is a full-service equipment lease and finance company specializing in lease transactions throughout the U.S. Their comprehensive equipment leasing and financing programs feature a variety of options to ensure you get the lease that is right for you. Headquartered in Chicago, Illinois and founded in 2003, MainStreet Advisors offers a wide range of investment advisory services, in-depth investment research and marketing support services. With $2.93 billion in Assets Under Advisement as of December 31, 2015, MainStreet Advisors strives to achieve profitable growth through product development, targeted advisory services and marketing efforts, and a commitment to meet clients' needs. 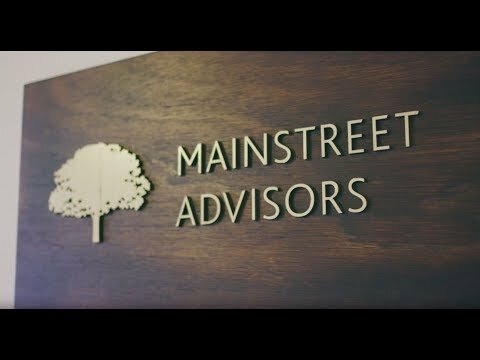 Founded in 2003, MainStreet Advisors is a full-service investment advisory firm committed to providing high quality advisory services to their clients.